The kitchen is the hub of the home, so it’s no wonder that things get so disorganized so quickly! Use these smart kitchen storage solutions to give everything a place of its own without taking up more room than you can afford. 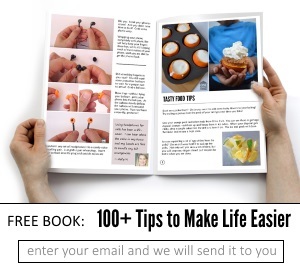 Need more kitchen tips? 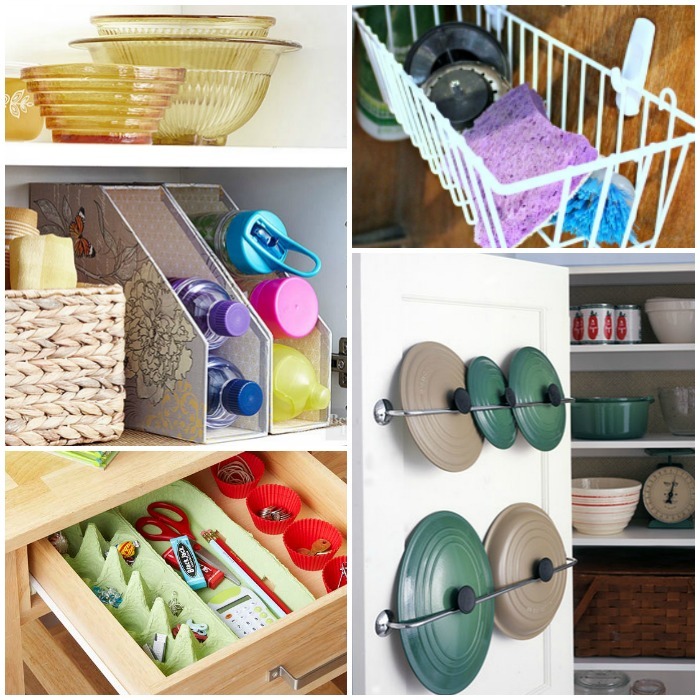 Check out 12 Clever Ways to Organize Kitchen Drawers and Cabinets! 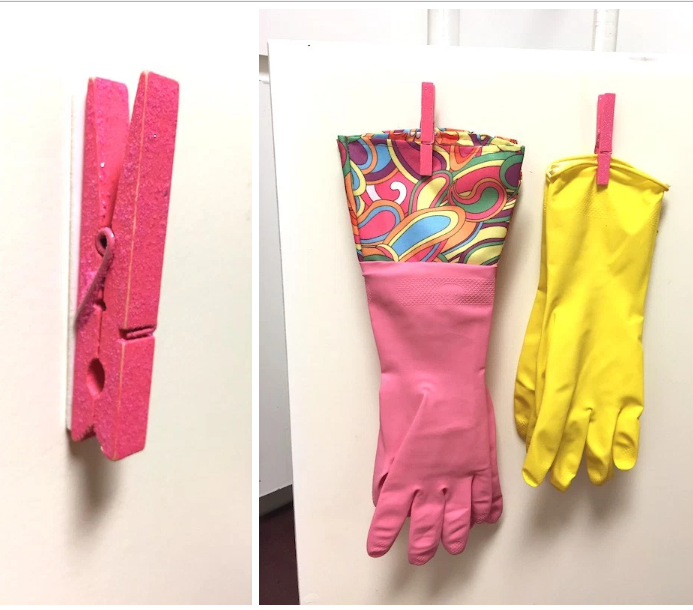 What a genius way to store your dishwashing gloves, with clothespins on the inside of your kitchen cabinets. They will be dry and organized! Smart. Chalkboard paint is amazing! 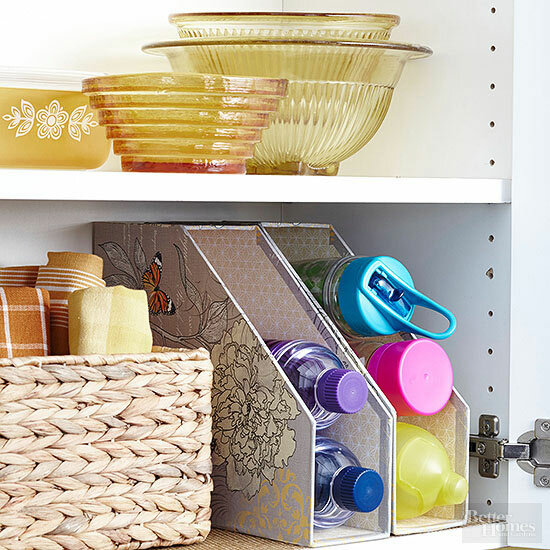 You can use it to organize your kitchen in so many ways. In this blog’s example, they took chalkboard paint and painted the tops of mason jar lids. Then used chalk to label the contents! 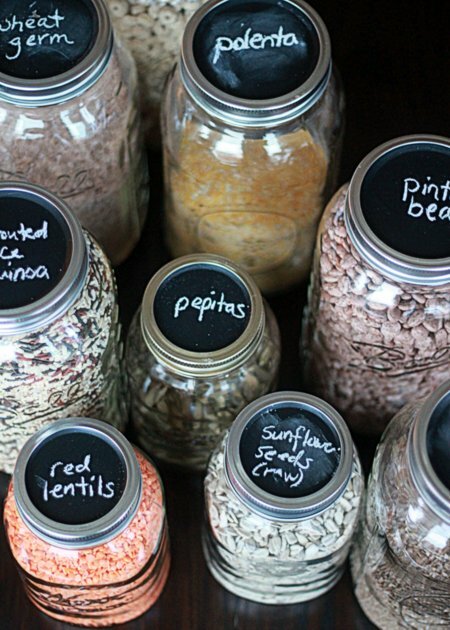 This is a genius way to store food stuff in the kitchen – easy to swap out when you use the jar for a different ingredient. 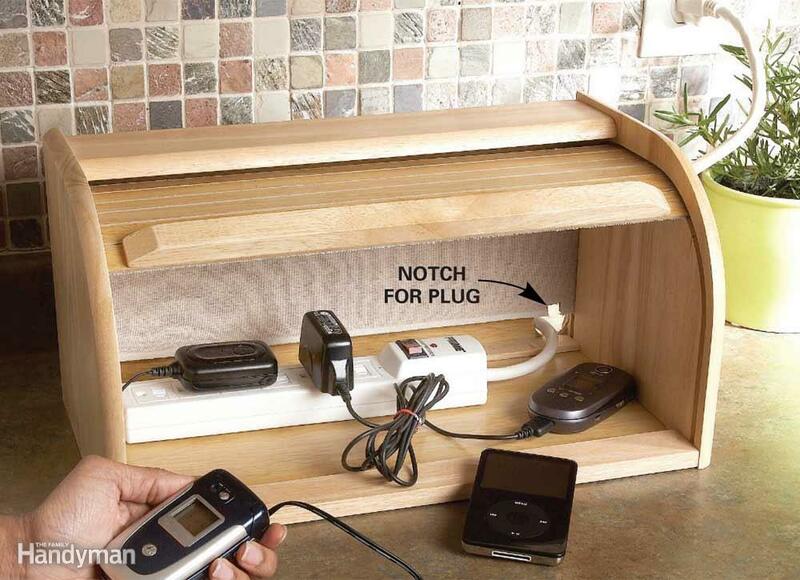 Create a discreet charging station for your phones with an old bread box. Isn’t that clever? 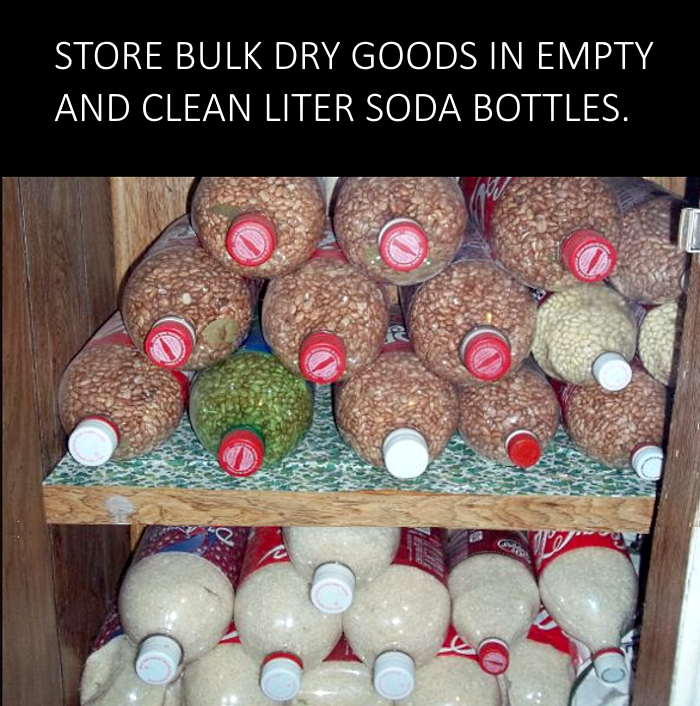 Bulk Food Storage Idea – If you are like us and love buying beans, rice and granola in bulk this trick will not only help you save money, and keep your food lasting longer in storage, it will also make your stockpile easier to manage! Is your junk drawer complete chaos? Use old egg cartons and muffin tin liners to organize your odds and ends. Do you have a tiny kitchen with limited counter space? We do too!! 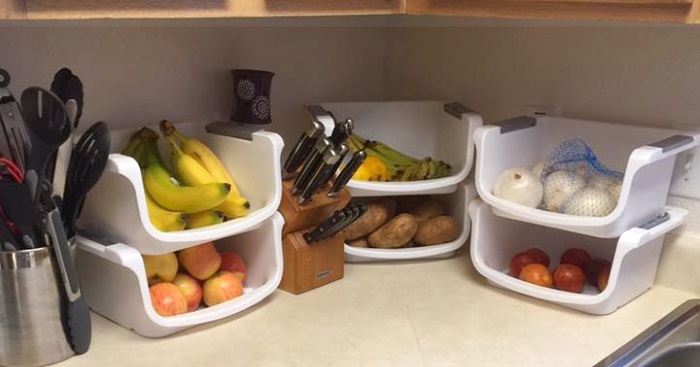 One of our readers lives in military base housing and this is her counter space! What a great way to multiply the space while still seeing the fruits and veggies you have waiting to be eaten – stackable bins to the rescue! Slide a CD rack into one of your drawers for upright lid storage. 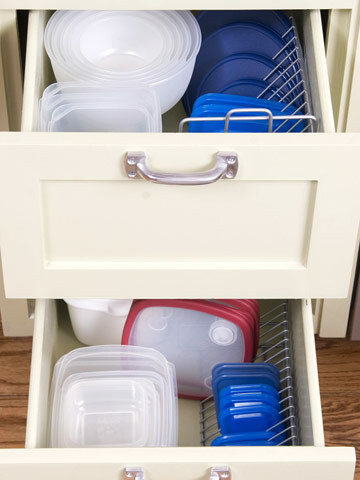 It’s so easy to find the lid you need when they’re not a jumbled mess! 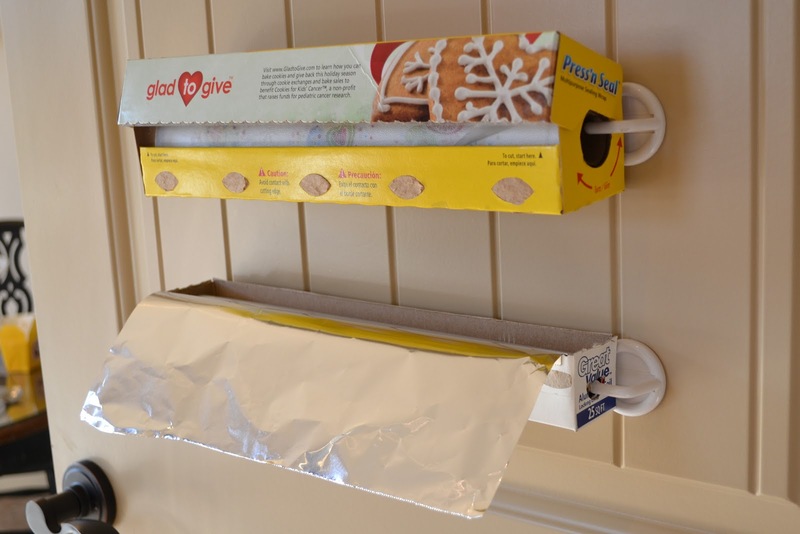 Save drawer space by putting your foil and plastic wrap on hooks on the back of the pantry door. 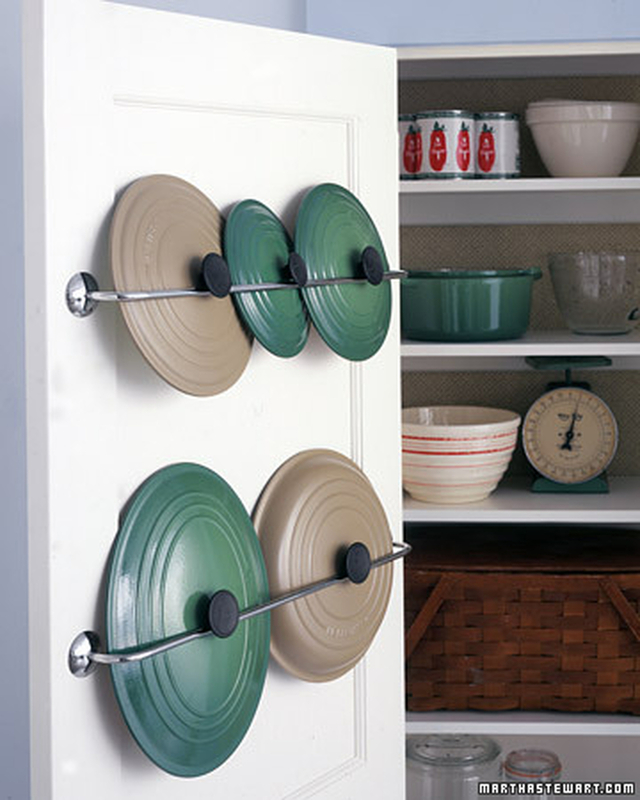 Speaking of back-of-the-door storage, towel bars are excellent for keeping lids to pots and pans in place. Hang one above your range, too, to put lids there while you’re stirring. 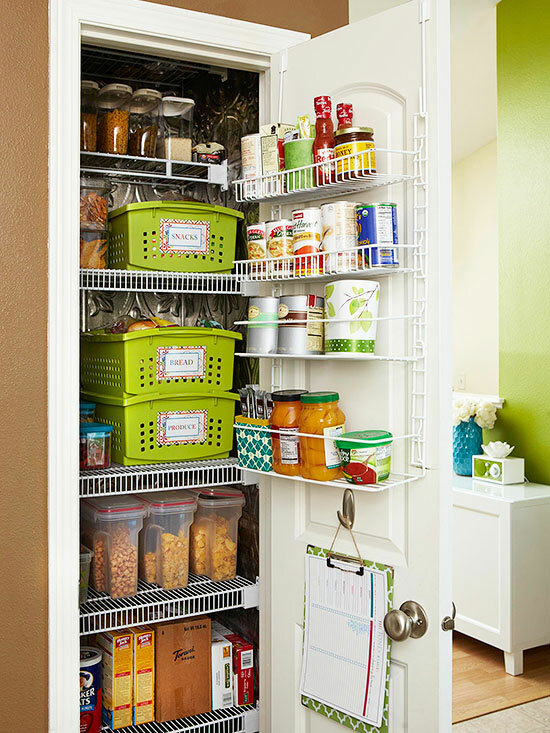 A small pantry isn’t a problem when you utilize over-the-door shelving to take advantage of every inch of space. 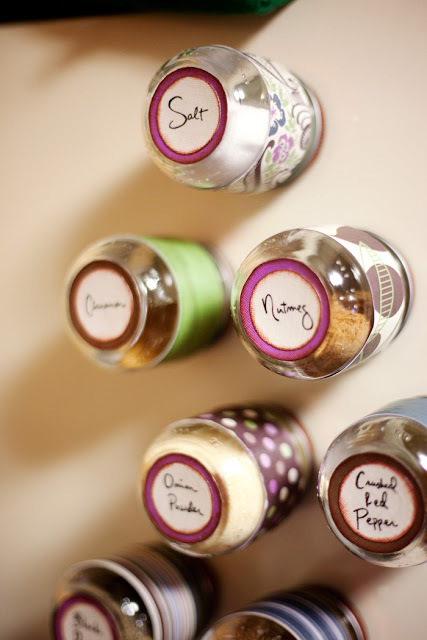 Make magnetic spice jars out of old baby food jars. Then, put them on the side of your fridge instead of taking up valuable cabinet space. Love! A magazine file is the perfect size for storing small cans of soup, veggies, sauces and more. 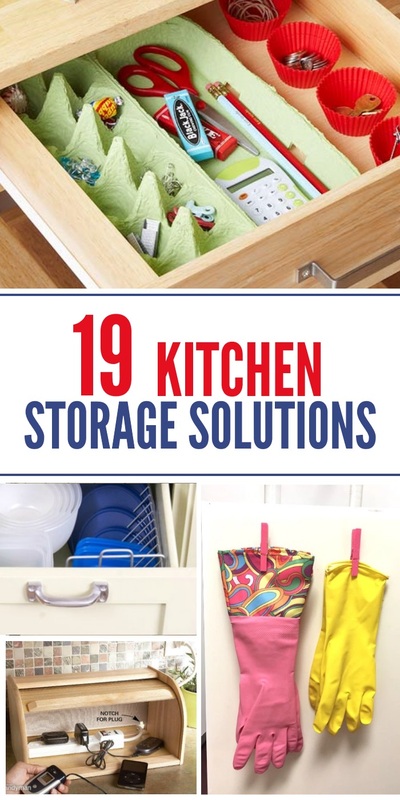 Want the convenience of pull-out drawers but can’t find room in the budget? 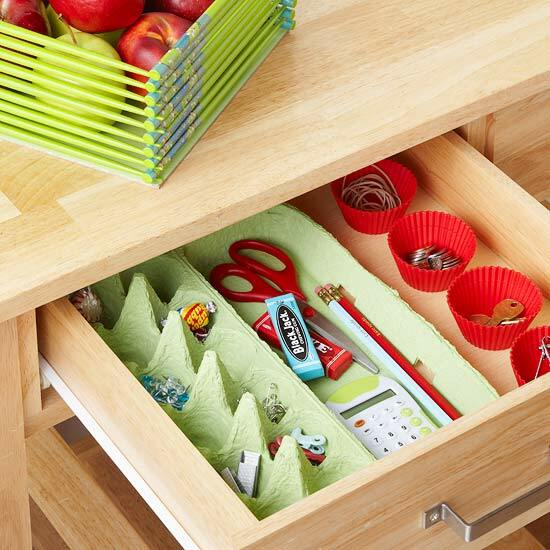 These fake pull-out drawers are a terrific alternative. Just find some plastic bins to fit your cabinets, and you’re all set. Magazine files are also perfectly sized for storing your family’s water bottles. 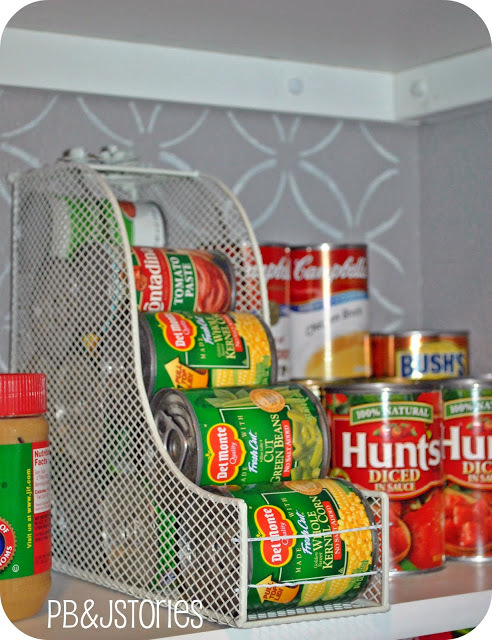 Do you have an old spice rack you’re no longer using for spices? 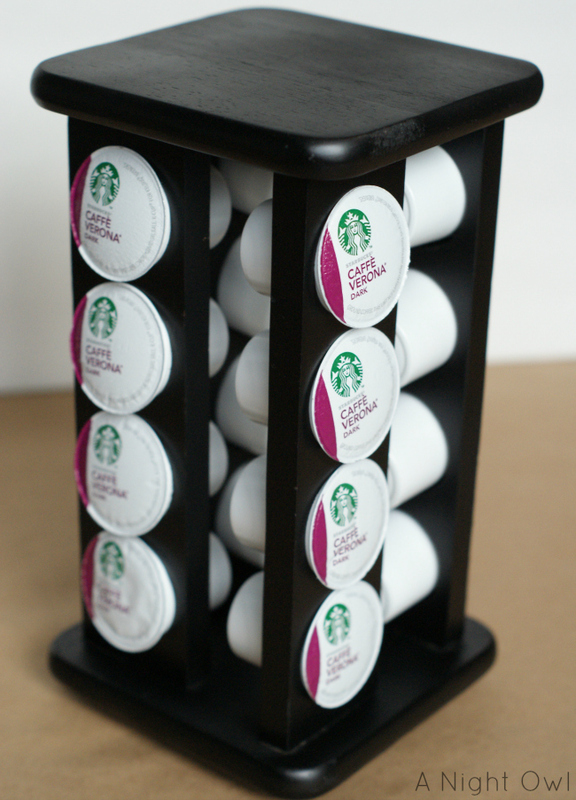 It may just make the perfect K-cup organizer! 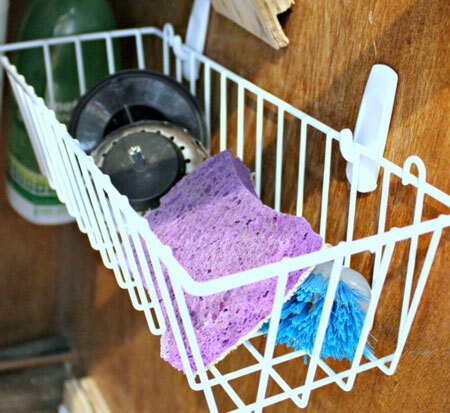 Store wet sponges and brushes in a wire basket under the sink. This still allows them to air dry, but they’re not cluttering up your sink. 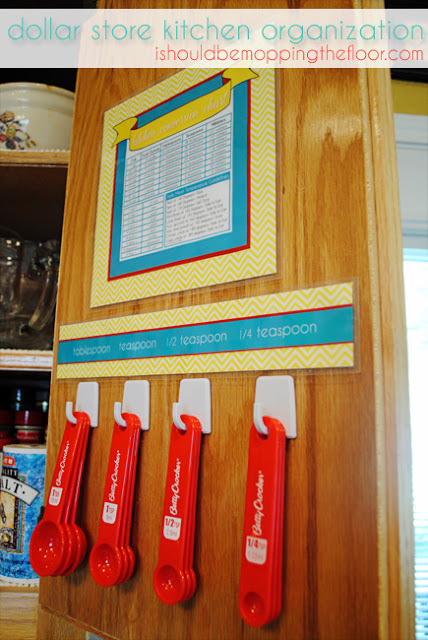 Hang measuring spoons inside your cabinet door so they’re always handy, yet out of the way. 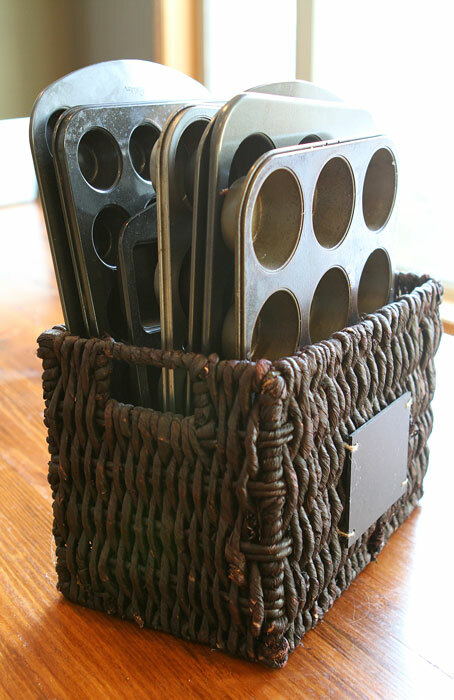 Store baking sheets and muffin tins vertically in a basket. They’re so much easier to find that way. Let’s face it… trash and recycle bins are unattractive, so you don’t want them taking up floor space in your kitchen. 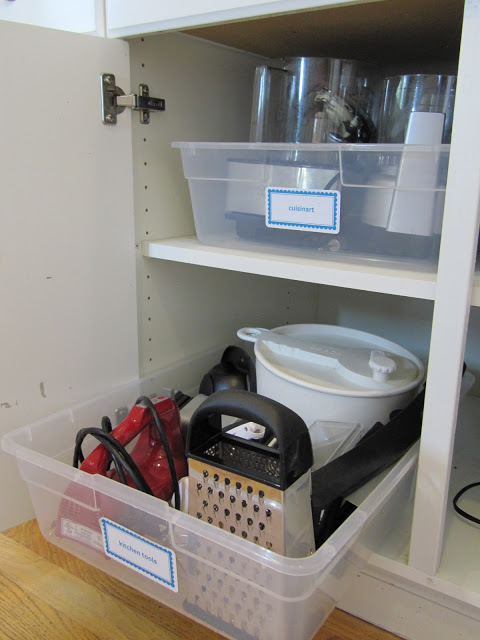 Set up a pull out garbage and recycle system in one of your cabinets instead.